7 of the best restaurants in Santiago, Chile. There are so many great restaurants in Santiago, but finding the best is not easy. Santiago has far better food than I thought. These people are as passionate about their food as they are about music and love. In the food department, they are proud to grow their own produce, and to source the best local ingredients. You get the feeling that to import anything and serve it in a restaurant would be the ultimate failure, they are only interested in their own produce. There’s a pride in everything they do and serve, from the varied and tasty local wines, to the farmed seafood, in-house cheeses and incredible creative dishes. Attention to detail is key here. A spectacular dish from Restaurante 99 in Santiago. The food generally is far lighter than you may expect. Raw seafood features on almost every menu, but is not simply presented as sushimi. Instead it is laced in home made sauces and flavours that enhance the qualities of the fish. Avacado is a staple. It is not uncommon to see an entree simply of avacado, but like the sushimi, it is creatively sliced, diced and presented like a piece of art with other vegetables, seeds and herbs and tastes incredible. Upmarket restaurants have degustation options and they are definitely the best way to explore the depths of the local cuisine. The meat is outstanding, and it’s good to know guinea pig is common on menus in this part of the world (it tastes like chicken). The overwhelming feature of every restaurant I went to in Santiago is the passion. These people want you to fall in love with their food and their country, and how can you not, when the whole thing is so damn good. Here are some recommendations, but remember, you MUST book. Restaurante 99 in Santiago where I had a brilliant night out. La Mision – This restaurant is an incredible combination of high-end Chilean food and exceptional wines from all over the Americas. I adored the setting either inside a warm dining room littered with artefacts from the Americas, or the romantic courtyard with fairy lights and leafy plants and trees. Much of the produce is made on site, including the charcuterie, and everything is organic. The idea is to select your food and let your host match it with a flight of wines – three wines that are similar but from different regions of The Americas. Food has a French influence, but is absolutely flawless. Th wait staff are kind, take time to explain things and speak excellent English. This place runs on passion. I loved it. Maido – This Peruvian restaurant is about to open in The W in Santiago, one of the sexiest hotels in the city. Maido there will be one not to miss. You can read my review of the one in Lima here. But for the best combination of Japanese sushi and sashimi paired with Peruvian natural ingredients, every mouthful in this extra ordinary place was stunning. Service brilliant and created an experience I will never forget. Book now. Renae Leith-Manos with chef Mitsuharu Tsumura, Maido Peru, coming to Santiago shortly. Restaurant 040 – Another restaurant that regularly and continually appears in the world’s best lists (they are seriously into them in this part of the world), where degustation and matching wines is the go. I went and to be honest it was ok, but not brilliant. I was truly spoiled by the other experiences I had all over Santiago. But it gets such rave reviews everywhere, I had to mention it. The Singular Restaurante – The stylish, elegant setting of this gorgeous restaurant makes it a stunning night out and a great place to escape the many degustations if you’ve had enough. Chef Laurent Pasqualetto sources his seafood directly from fishermen on the coast, so all of the seafood dishes are knock outs, and people rave about the rockfish and the king crab. I had the Puerto Natales lamb which was a ten. 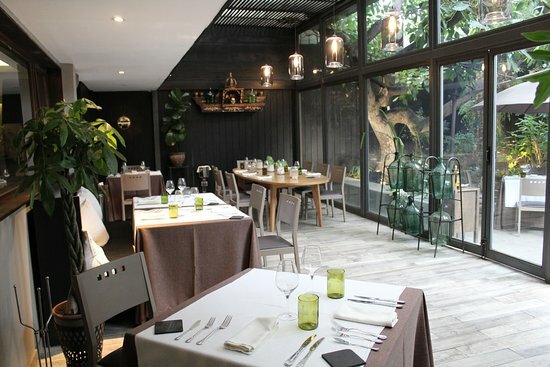 The elegant dining room at Singular Restaurante, Santiago. 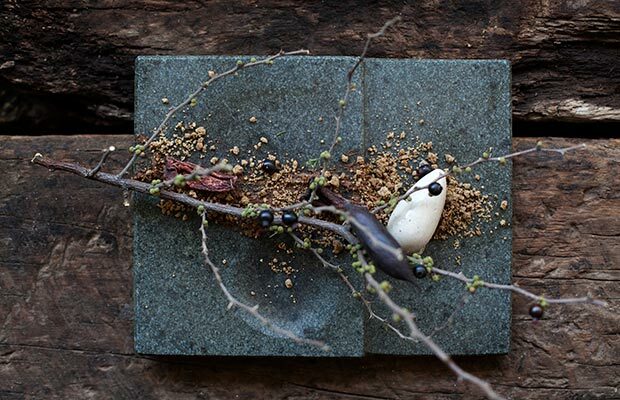 Borago – Located in a beautiful home, Rudolof Guzman’s Restaurant continually pops up on the world’s best lists, so is definitely worth a look, but be warned, it is pricey, particularly the wine list. The degustation is 15 courses, and has an option of 7 wines to match, which is worthwhile, although the cocktails are also great. Borago, Santiago where food becomes art.